Get ready for Bavarian Night 2019! 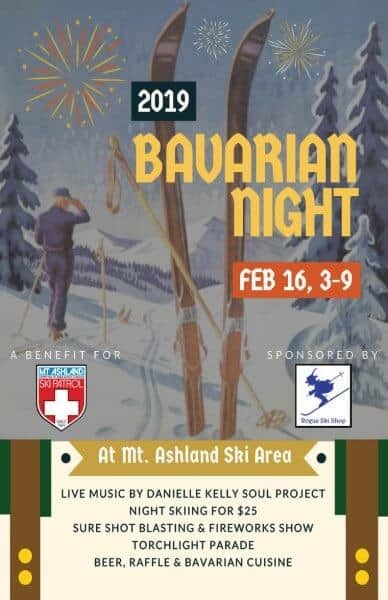 Bavarian Night is an annual fundraiser for the Mt. Ashland Ski Patrol. 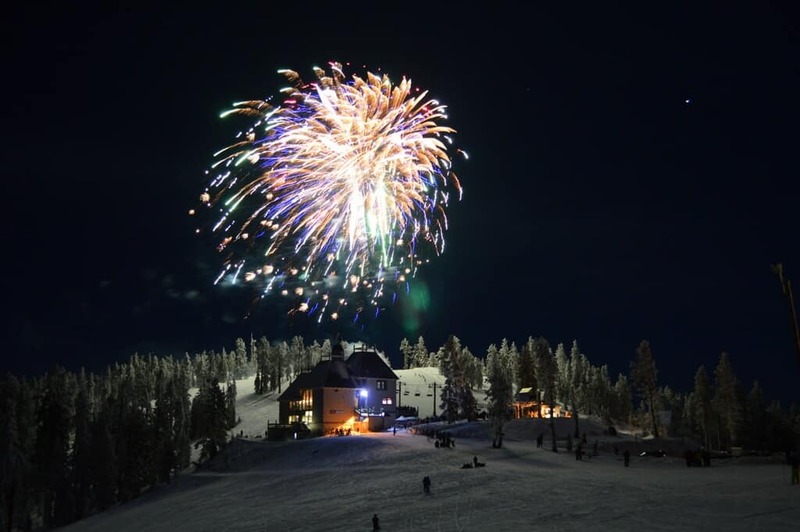 It’s a special night including one of the best fireworks shows around, live music, and lots of great ways to support our Ski Patrol, like the popular Raffle & Silent Auctions. The Ski Patrol does a fabulous job of making this evening a family-oriented event with a raffle for great prizes, live music, food specials, a massive fireworks show, and more. They will be raffling off a $500 Gift Certificate to Rogue Ski Shop. Come on up, buy raffle tickets, a ski patrol t-shirt, and enjoy some live music to help support our wonderful Ski Patrol! We are offering free hourly, on-the-hour, SNOW BUS service throughout this event. The first bus will leave Ashland Hills Hotel at 7:00am and the last bus will leave Mt. Ashland promptly at 10pm. Twilight Skiing 100% of your $25 Twilight Skiing Ticket will be given to support our awesome Ski Patrol. 3:00-8:00pm. 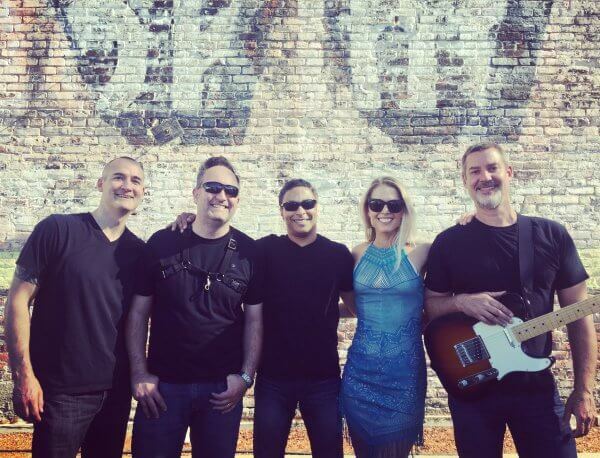 Live Music by the Danielle Kelly Soul Project! New for 2019, we are offering the following items in a Silent Auction. Bid them up and support our awesome Ski Patrol! Another new addition to Bavarian Night in 2019 is the Kids Torchlight Parade. This event will be held on the Sonnet slope. Parents must register their child at the Ticket Desk in the Lodge by 7:45pm. Participants must be comfortable loading and unloading the Sonnet chair, skiing in the dark, and not using ski poles. Participant must be aged 16 or younger. A parent or guardian must sign a waiver (feel free to download this form, fill it out, and bring it with you to save time) for each child participant. When the child is registered s/he will receive a LED torch for the parade. Holding the torch will be a requirement to participate in the Parade. Participants must meet at the Bottom of the Sonnet Chair at 8:00pm sharp. When all are gathered at the top of the Sonnet lift, the night skiing lights will be turned off for the Parade. Ski School instructors will be on hand to guide participants through a simple weaving course down the Sonnet Run and meet in a big circle in the Learning Center area.